The email resignation letter format is getting more popular day by day, as many people or organizations demand an electronic format of the resignation letter from their employees. Moreover, it is much convenient, and you don’t have to rely on a pen or paper. It can be sent instantly, and there are no chances that the letter gets lost or tears etc. Hence you surely get that delivered to the inbox of the employer, even if you are resigning at a short notice. Just like the Nursing Resignation Letter sample, basic and general to specific style email samples are also available online. The email acknowledgement resignation letter is the format that the employer needs, rather to acknowledge the resignation of the employee. This is a much needed format, which every employer would love to get and use. You simply download, and customize the few fields marked on the letter with employee name, job position etc, and you are done. 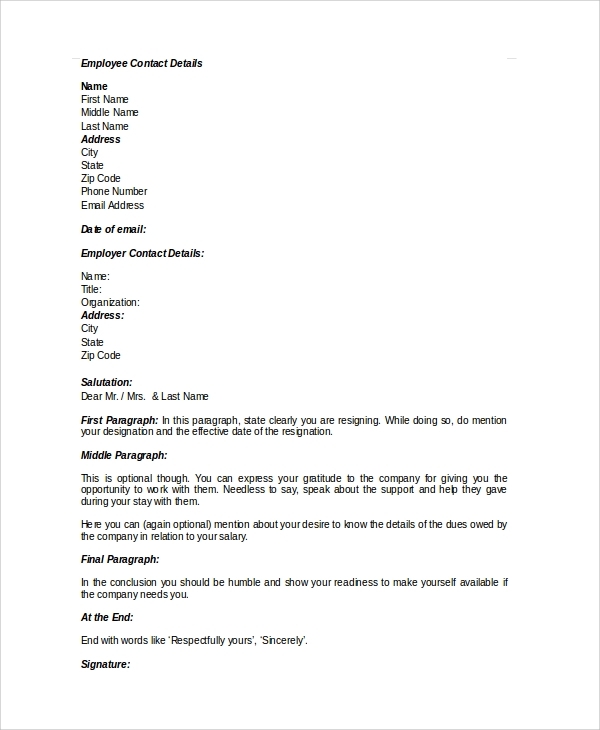 If you are to leave the job instantly, and need a format that would support your declaration of the immediate request for release and resignation, then you must surely use this template. This is for an immediate resignation, and you would find this really helpful. The simple basic and formal format that you would require for sending a resignation by email is here. This is a basic format ready to be customized into any style you want, and this can be completed simply by adding your details. 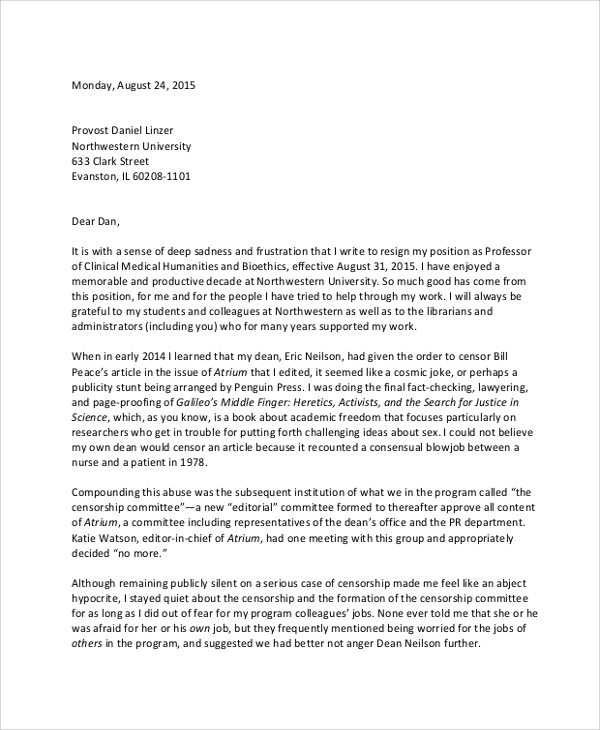 What are the Email Resignation Letter Samples? Samples are formats, or rather examples that you would use to get your resignation letter ready in an email format. There are some basic differences in the general writing pattern between a formal letter written on paper, and the one written in an email. Therefore, when your chosen mode of communication is email, the letter has to be drafted in the email style only. 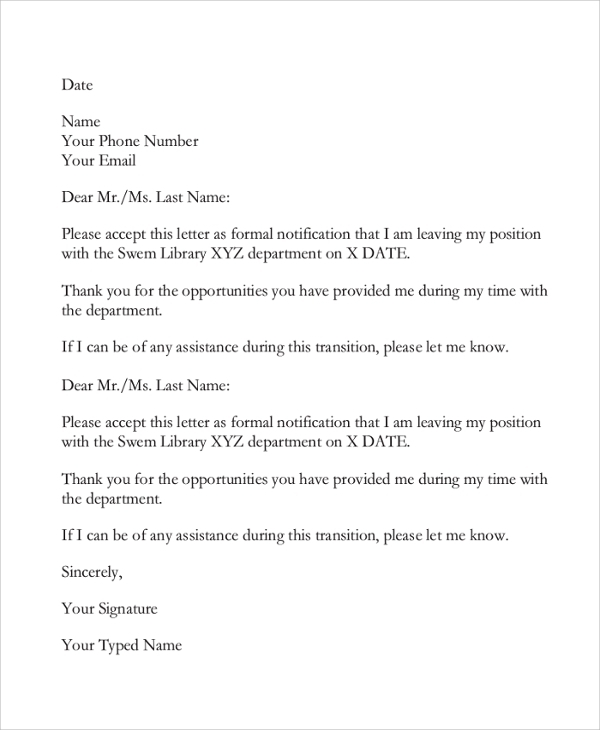 Thus the Email Resignation Letter sample styles have an important role in describing you the required official format of resignation letter for email resignation. 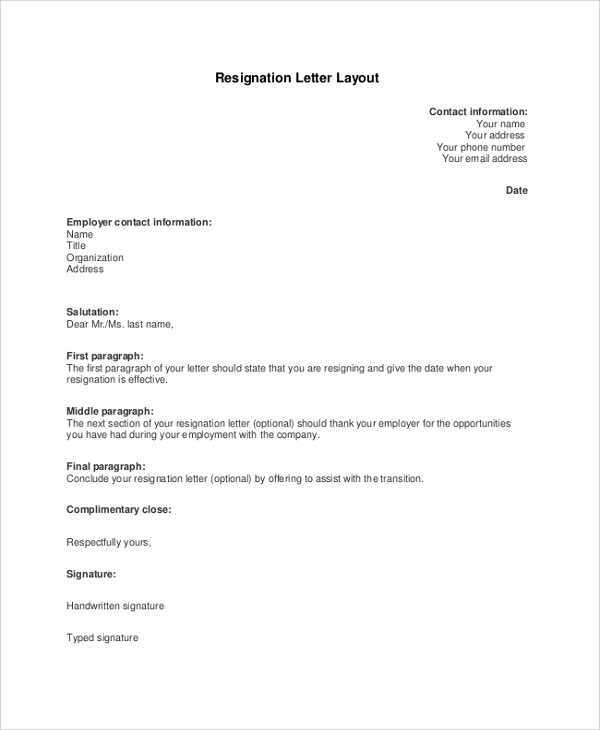 What are the Benefits of using Email Resignation Letter Samples? The main benefit is the time saving you get with the use of the samples. 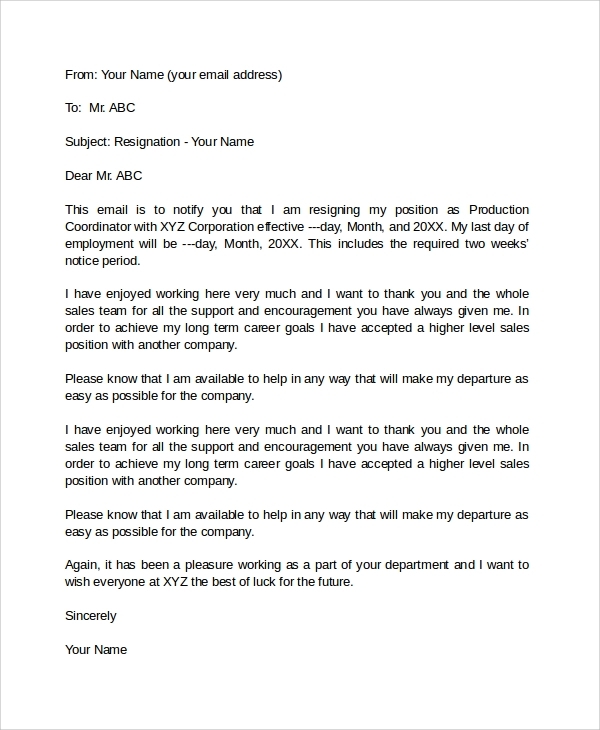 The next benefit is that you can get the exact format of formal and official resignation letter writing, which will help you frame the perfect Job Resignation Letter without making any mistake. 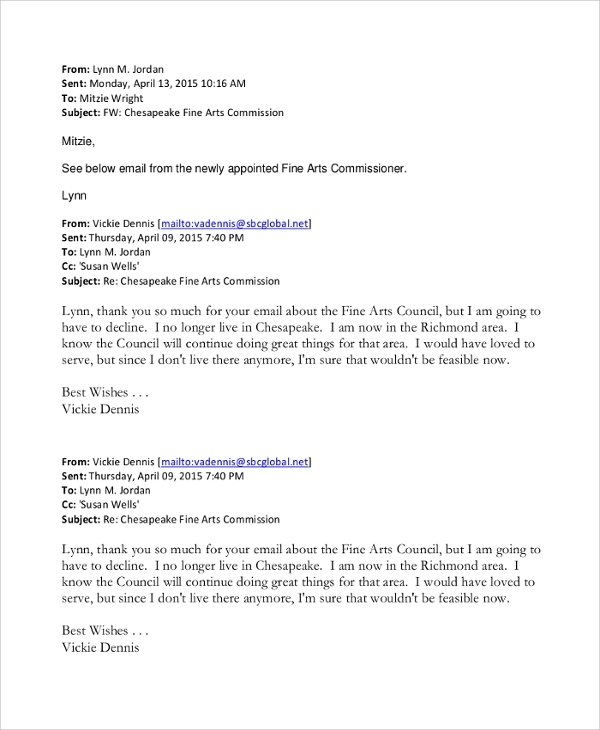 Many people get confused about sending a resignation by email, and do not understand the differences to be kept in mind, while framing a letter in email. Email letters have a dedicated subject line, where the subject has to be written first, unlike the paper written letters where the subject is written after addressing, there are many such differences which can lead you to refer to the samples available online. To write a resignation letter you may have to refer to a few samples, so that you form a flawless letter which helps you get your resignation approved within the notice period aforementioned. This needs good examples which are available online from template banks. If you refer to the templates, you would see that there are dedicated samples that are meant to give you the most standard, specific and general formats, for email resignations. 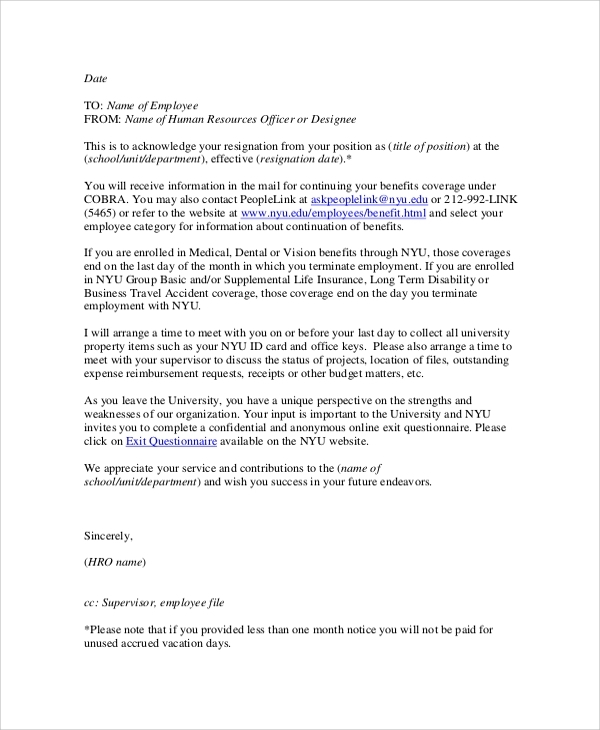 The Sample Resignation Letter that you may send through email is available online, and you may refer to it anytime to gain confidence for framing your resignation letter. This will help you save time and effort. Samples give you the confidence to draft a letter in a much lesser time with accuracy.